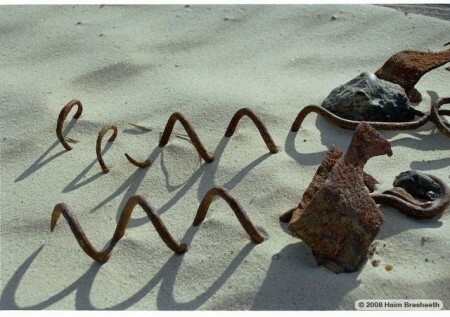 Objects are evidence; evidence of time, evidence of use, evidence of life and of the elements. 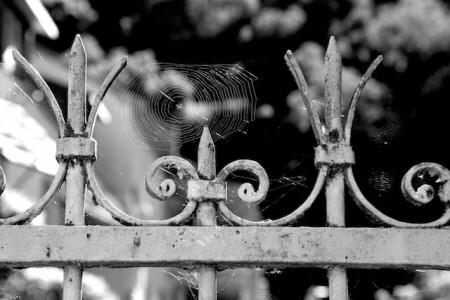 They remain here when we are long gone, changing with time. 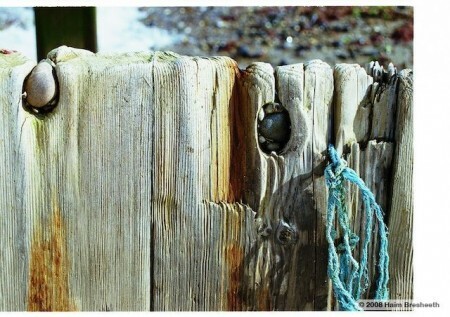 Most images here were shot on film – either on 35mm or 60mm by 60mm, and many are connected to the sea. The sea always ages objects in the most unique way. 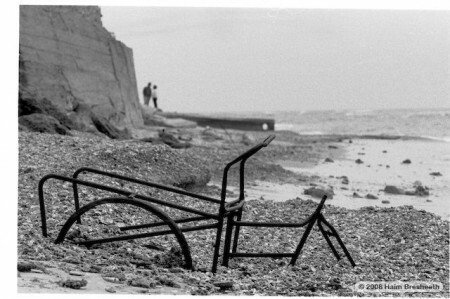 Another picture taken by Benny Bronstein and me on film years ago. This is the Jebalia beach, near Jaffa. Norfolk beaches are teaming with objects which were licked by the waves and dried by the merciless north wind – wood especially benefits from this treatment. On the sandy Norfolk beach, this mysterious object was irresistible. 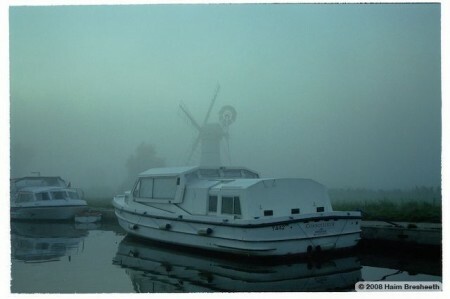 On the Norfolk broads, mornings and evening are magical. The gentle fog kills the faraway sounds, and gives a special depth to images, muting their colour palette. 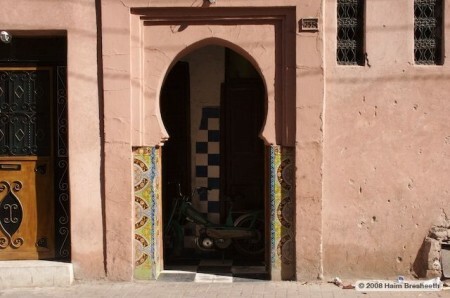 A Hammam doorway in Marrakech, with the ever-present weapon of mass-destruction, the scooter. 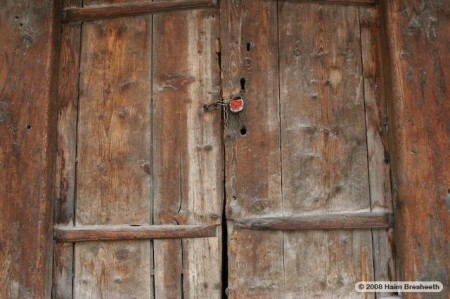 A Swiss barn-door in the Valais, showing all the signs of life and labour, and little different from the doors I photographed in the Third World. 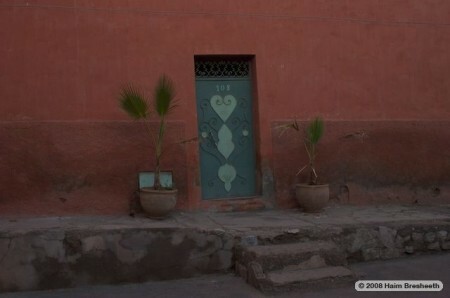 Another doorway in Marrakech, in the Mellah, the Jewish quarter. The reds of walls and doorways are of the same family of hues which is used to paint walls in Rome, and yet, so different. The colour is gentle, yet persistent and pervasive. 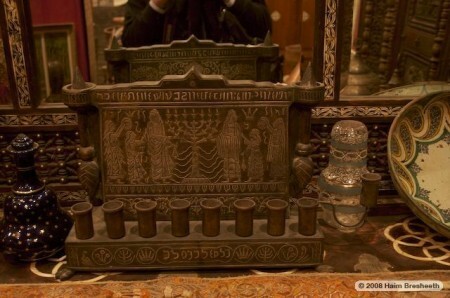 In an antiquarian shop in the Medina, an old Hanukah lamp, genuine and no doubt looted from the Jewish population of the Mellah. There is an amazing range and variety of Judaica here, which makes you realise how integrated and large this Jewish community was. 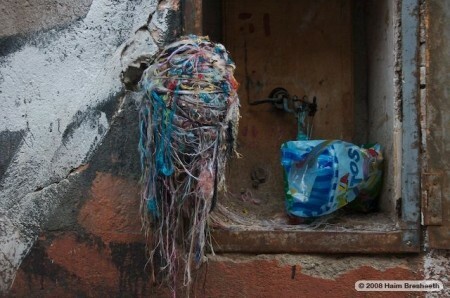 Mysterious bundles of coloured twine abound all around Morrocan cities,especially in Marrakech. to begin with, one is lost when inquiring about. People would rather not tell you, but all around town, young men are weaving their balls of twine. 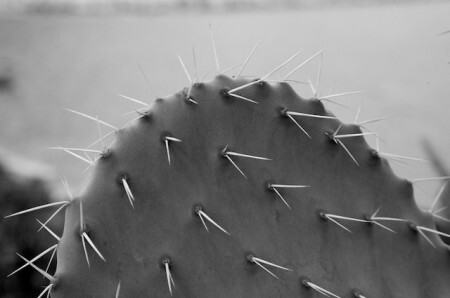 It is a form of practical magic called Schur, designed to dispel the evil spirits or Jinns. 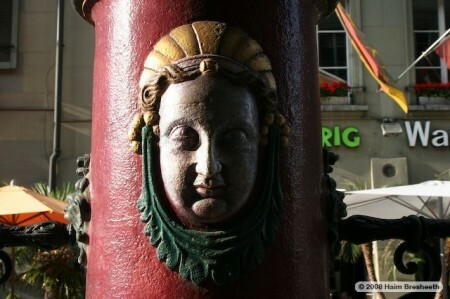 In the main street of Bern, Large colourful flag-bearing posts are dividing the street into sectors, diverting your gaze. Each is adorned with a different, striking face. 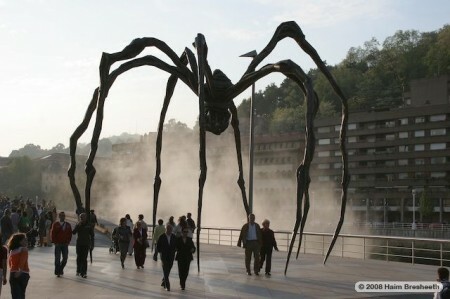 Certainly one of the largest and most intriguing objects anywhere, Louise Bourgeois’s metal spider towers over the visitors to the riverside Guggenheim Gallery in Bilbao. 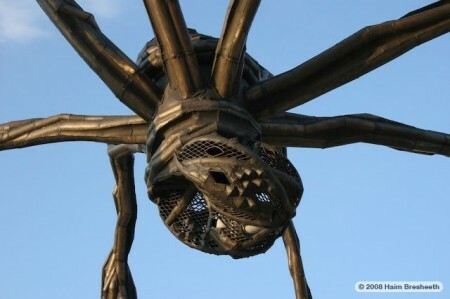 The underside of the spider at Bilbao. 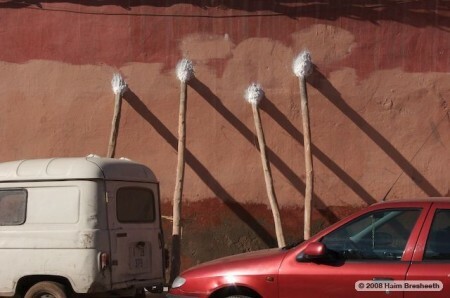 Could those long poles in a Marrakech street really be holding up the wall? 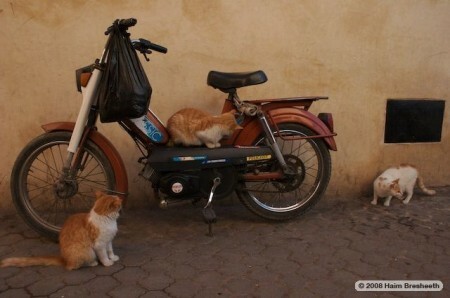 A scooter in Marrakech, attracting the voracious and capable denizens of the streets. 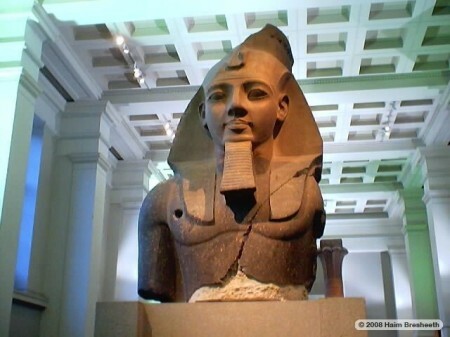 The colossal bust of Rameses, now in the British Museum, has been there over 150 years, ever since it was ‘prospected’ by the great adventurer, Giovanni Battista Belzoni, who has used hundreds of Egyptian peasants in 1815, and recorded this feat of archaeological engineering in a famous coloured drawing. 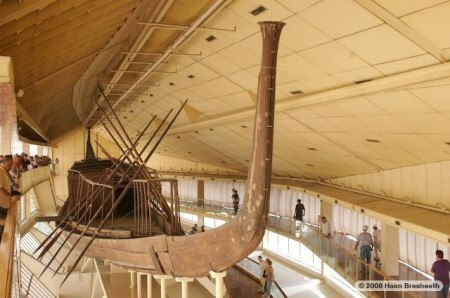 One of the largest and most majestic objects of Ancient Egypt, the Sun Barque of the Pharaoh Khufu, was found disassembled, in a special covered trench by his pyramid and took 30 years to put together. 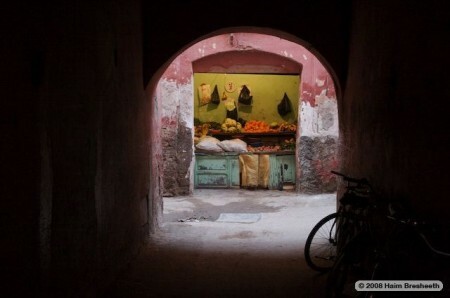 Walking slowly through the Marrakech Medina, one comes upon mysterious and magnificent views, as if turning in a dream towards a sight known from another life. 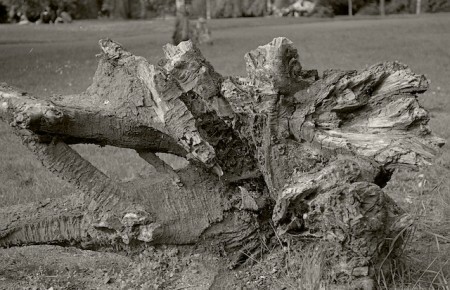 A sculpture by nature, being reshaped as time passes. I watched this spider feed on a number of flies and a small insect of no clear identity. In Sardinia, the traces of the Arab occupation are as insistent as in Palestine. 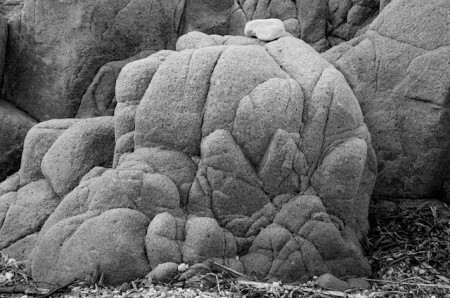 This intricately-shaped rock was my favourite place on the beach in Sardinia – you could feel the eons it passed quietly there.